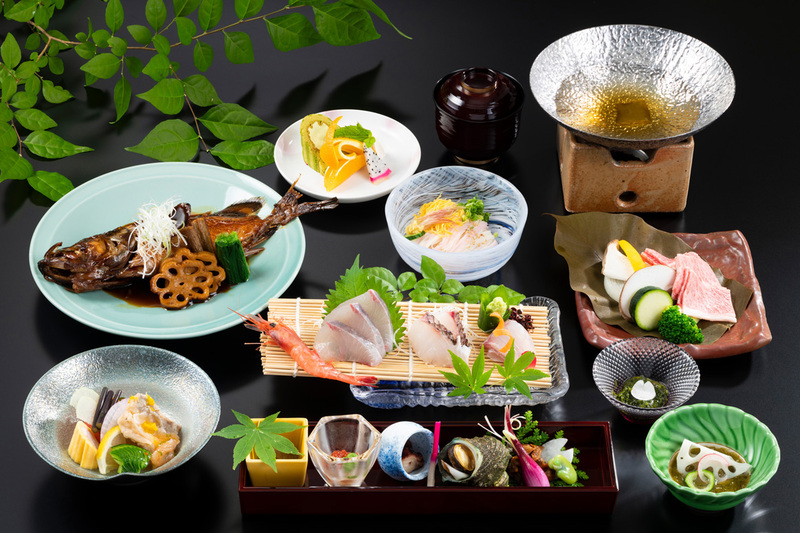 Savor the flavors of Noto and Suzu throughout the four seasons. Noto offers a nostalgic vista of traditional Japanese agriculture and fishing, and its cuisine is inscribed as a World Heritage tradition. The cuisine at Notojiso employs seasonal produce and seafood to the fullest. We are sparing with seasonings in order to bring out the inherent flavors of the ingredients. Customers love our honest, straightforward cuisine that is nutritious and healthy. Instead of complex gourmet cuisine that is supposed to tantalize the stomach, our menu is about essential soul food. 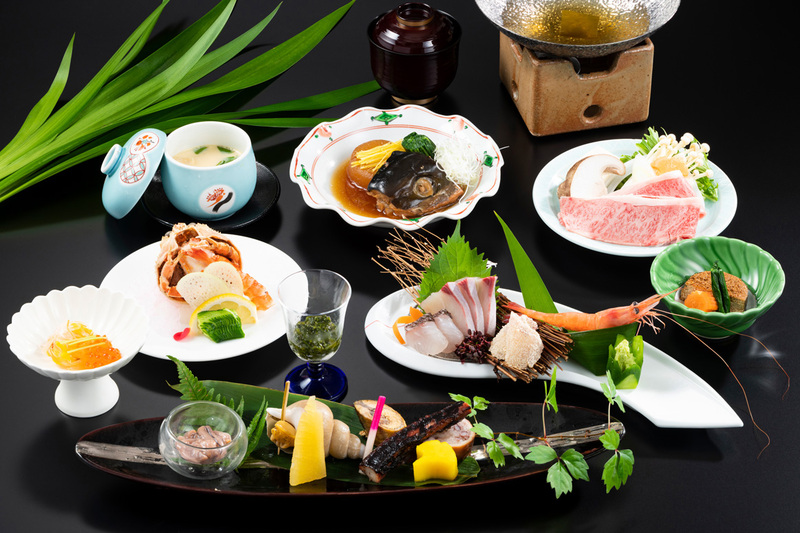 Breakfast features rice cultivated in terraced rice fields and using deep sea water. 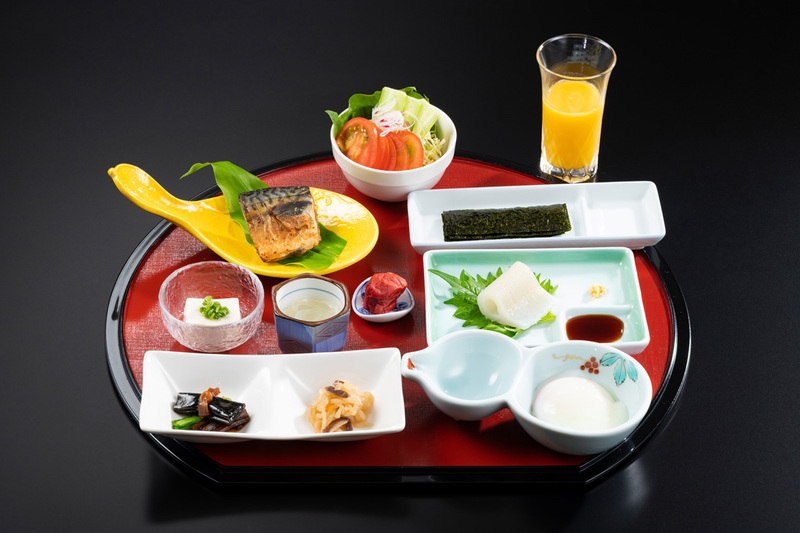 It produces a faintly sweet taste the more it is chewed, and we pair this with mackerel steeped in bran, local specialties and salad, orange juice, and other healthy Japanese favorites. 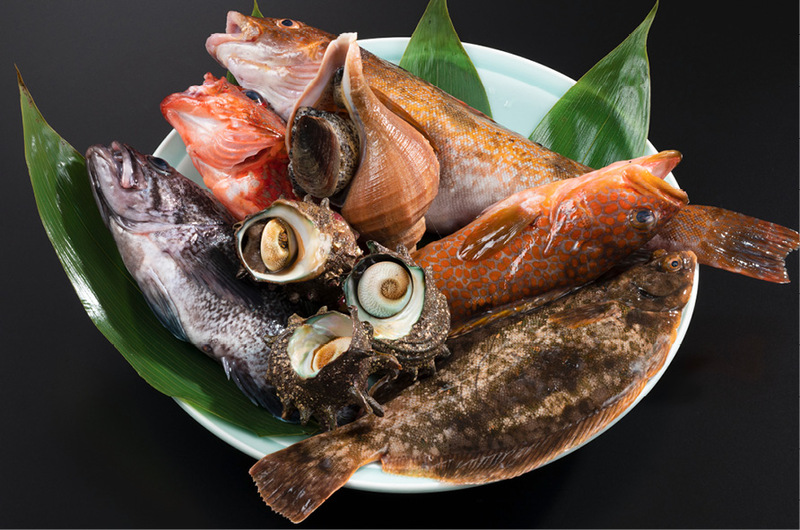 Our chefs prepare fatty shore dotterel, thick turban shell, and other locally fresh seafood, grilling it, stewing it, and preparing it into sashimi, among other delicacies. 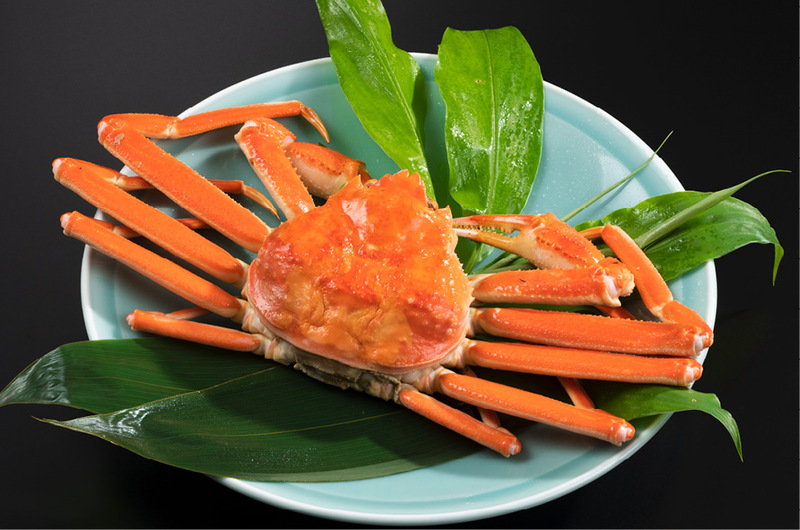 Snow crab from Ishikawa, also known by the brand name “Kano-gani,” is one of the best flavors of Sea of Japan in winter. Savor the toothy texture of the meat and the rich innards. Noto beef is produced with care and attention in the open nature of Noto, and offers a fine texture and touch of fatty marbling. 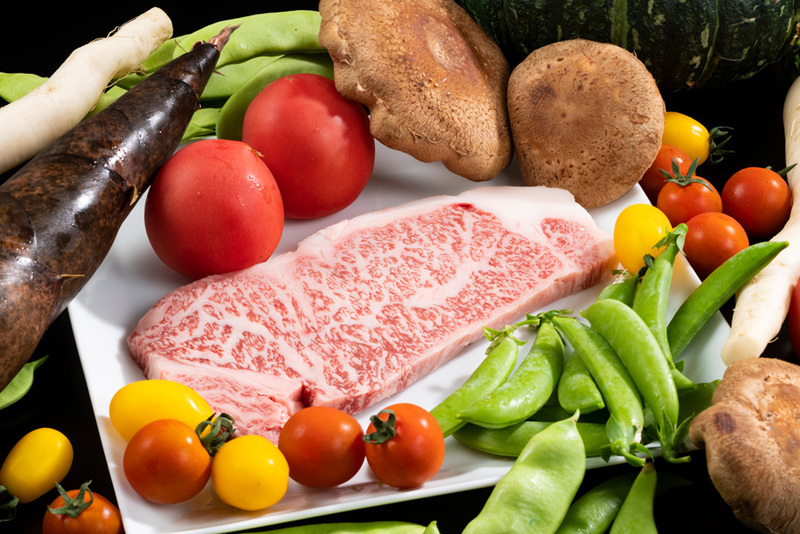 This is a rare brand of beef that is very small in number and generally only distributed within the prefecture. We encourage you to try this dish at Notojiso.